This was a statement that was constantly shouted around in my household growing up. We were refugees who had escaped a genocide that claimed over 2 million lives and my parents were in search of the “American Dream.” I was taught at a very young age that survival meant assimilation; assimilate is what we did even if it meant losing parts of what made us Cambodian. I grew up having very little knowledge of Cambodian history, culture, customs, traditions and language. We were so immersed in survival mode that we forgot the importance of historical and cultural preservation. It is this search for my identity that led me to educational justice work. I knew by the age of 10, I had to become a doctor or a lawyer, after all that was what my parents wanted and needed from me. They wanted the big house and the white picket fence. As a fifth grader in 1992, I enrolled myself in a new academic, social support summer program called Providence Summerbridge. Providence Summerbridge now known as Breakthrough Providence has a dual mission: to create a pathway to college for low-income, academically motivated middle school students and to encourage talented high school and college students to pursue careers in education. I could vividly remember the Executive Directors coming into the classroom and pitching the program. “Come learn about who you are and what you are capable of!” It was this exclamatory statement that gave me ammunition to apply. I still say, I was a guinea pig of the program because I was part of the first graduating cohort. I was committed to the program for 2 years and during that time I developed as a young leader with strong academic and social skills. My parents were overjoyed, I needed to be strong academically if I was going to be lawyer or doctor. While I did not learn much about my Khmer culture, I did learn to embrace ME. I learned to value the differences in people, to cultivate and sustain meaningful relationships and to take on a proactive role when faced with adversity. Breakthrough Providence builds and instills a culture of success that is unlike any other. The impact was life changing for me as a student. I started teaching at the summer program at the age of 15. I dedicated 4 consecutive summers to teaching Numeracy (Math.) I remember the unshakeable bonds and non-traditional experiential learning I was encapsulated in as a student and wanted to continue to be part of this infectious movement. I knew as a young educator, I wanted to dedicate my life to educational justice work. I wanted to infect change in the lives of those who were underserved, marginalized and disenfranchised. At age 37, I have come to understand that the “American Dream” never existed for a family of refugees and education alone will not level the playing field. My parents’ true desire was not for me to become a prominent doctor or lawyer but to have a fulfilling life with unlimited access and opportunity. I am a descendent of WARRIORS, warriors who escaped mass annihilation. Resiliency is embedded in my DNA, to honor them I will continue to fight for social justice. Chanda Womack is the founding executive director of the Alliance of Rhode Island Southeast Asians for Education (ARISE). ARISE’s mission is to prepare, promote, and empower Rhode Island’s Southeast Asian students for educational and career success. A well-known and charismatic community leader, Womack is a tireless advocate for equity and social justice. ARISE played a major role in the historical passage of the All Students Count Act in the Rhode Island House of Representatives. The legislation aims to “ensure data disaggregation among Asian students, which will allow for data transparency as it pertains to educational outcomes for Southeast Asian students, giving way to providing appropriate supports, services and interventions”. She has over a decade of experience in serving underrepresented communities in college access and success. 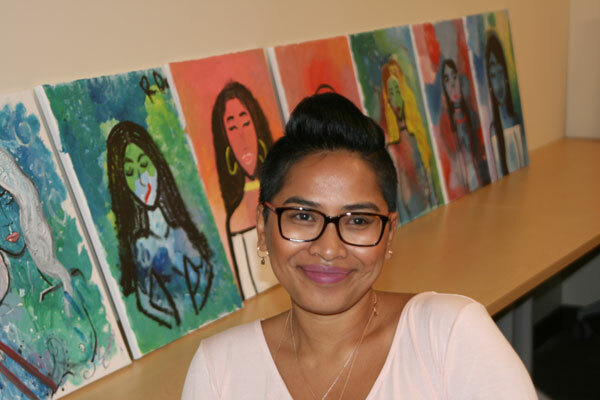 She also serves as the president of the Board for the Cambodian Society of RI, member of the Racial Justice Coalition and serves on the Inclusive Excellence Commission for Rhode Island College.